As part of its work to promote cultural participation, the Central Council seeks to strengthen the cultural and political position of the minority, in Germany and in Europe. Article 15 of the Framework Convention for the Protection of National Minorities stipulates the following: All the states that sign it shall create the conditions necessary for the effective participation of persons belonging to national minorities in cultural, social, and economic life and in public affairs, in particular those affecting them. Primarily, this means promoting equality of opportunity and effective equality between persons belonging to a national minority and those belonging to the majority society. In this, there are several courses of action available to the contracting states, e.g. the effective participation of persons belonging to national minorities in the decision-making processes and elected bodies both at national and local levels. An institution representing the interests of the German Sinti and Roma, the Central Council champions at various levels the cultural policy matters of the minority: It is a member of numerous national and international committees; it advocates the strengthening of local and regional structures in general, and local cultural and political work in particular; it facilitates networking with international players, e.g. 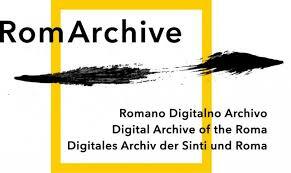 through the digital archive RomArchive and the Europa Roma Institute (ERI); and finally, it functions as an interface between Sinti and Roma creative artists, policy makers and society. On the issue of cultural participation in society, the Central Council calls for the centuries-old history of Sinti and Roma to be anchored in school curricula and educational materials, for Sinti and Roma to be involved cultural and political foundations (e.g. Deutscher Kulturrat, the German Cultural Council), and for representatives of Sinti and Roma to be part of broadcasting councils and regional media authorities. To represent their position, the Central Council and the Documentation Centre of the German Sinti and Roma are both involved in RomArchive, a project of the German Federal Cultural Foundation. The history and the current situation of Sinti and Roma, and especially their diverse contributions to European art, music, theatre and literature are to be documented in this project. The Central Council is tasked with ensuring that traditional prejudices are not reproduced as ethnological images.